On account of the 64th Independence Day, Vijay TV has an interesting line-up of special programmes beginning from 6.40am onwards. On 15th August 2011, the day starts off with ‘Bhakthi Thiruvizha’ at 6.40 am . ‘Engeyum Eppodum’ Oru Sirappu Parvai at 8.30 am would feature a preview of the romantic thriller produced by popular director A.R. Murugadoss. This upcoming movie is being written and directed by debutant Saravanan, starring Jai, Ananya, Ajnali & Sharvanand, music composed by Satyan. Lion Dates Syrup Neeya Naana at 9 am would have an interesting topic that would warm up audiences on Independence Day. Special ‘Home Sweet Home’ at 3 pm would feature celebrities from the film industry. The cast and crew of the film ‘Engeyum Eppodum’, actors Jai, Ananya, Anjali and Sharvanand would participate to win a dream house on this fun filled game show. At 4.30 pm, versatile actor Vikram speaks about his winning formula on the show titled ‘Vettrithirumagan’ wherein he shares his working experience in his latest super hit film ‘Deivathirumagal’. Actor Jeeva spends a day with us as Vijay TV viewers get to know his daily routine and life beyond his busy acting schedules. Don’t miss to watch ‘A Day with Jeeva’ at 5.30 pm. MOVIE PREMIERE : On 15 August, Independence day, Monday at 11 am, ‘YUTHAM SEI’ the super hit film would be premiered. Yutham Sei is a crime thriller film, written and directed by Myskin. The starcast of the film are Cheran in the lead role along with debutant Dipa Shah apart from Y.G. Mahendra, Lakshmi Ramakrishnan and Jayaprakash. 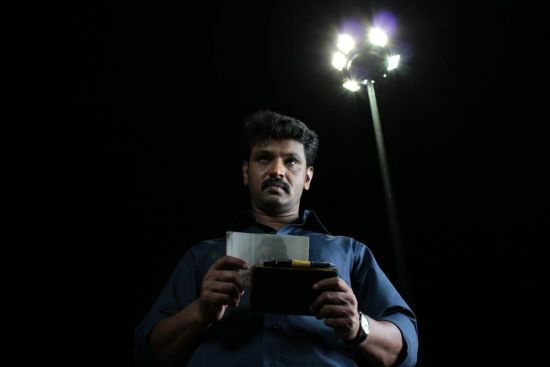 Cheran has done a CB-CID officer role in the film, which received good reviews in media during its release. Don’t miss to watch ‘Yutham Sei’ on Vijay TV on 15 August, Monday at 11 am.